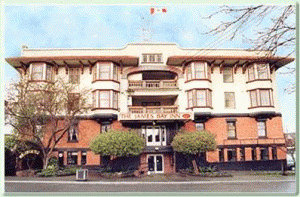 James Bay Inn Hotel is uniquely located in a heritage residential neighborhood on the threshold of downtown Victoria, just a few blocks from Parliament and the Inner Harbour attractions. We are also within easy walking distance to shopping, ferry terminals and Victoria's famous Beacon Hill Park. From the lobby, journey back through time and visit some of our neighbors, Emily Carr House, Helmcken House or the Royal British Columbia Museum. Accommodation is spacious and family-style. All rooms are freshly appointed. We also have a private detached two bedroom cottage available adjoining the hotel. Weekly and monthly rates are available in the off season. 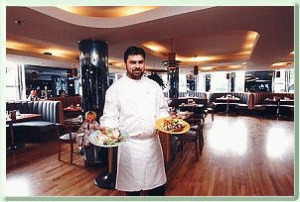 Additional guests - Rollaway Beds, Children 16 years of age and under and cribs are available. Cancellation policy. Please visit James Bay Inn Hotel & Suites Website.